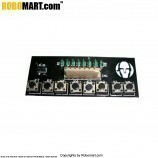 The 10 Channel Wired Remote Control kit is a simple wired remote control kit with 10 Push Buttons connected to the relimate male headers across the resistors on the same board. It is very small and easy to carry. 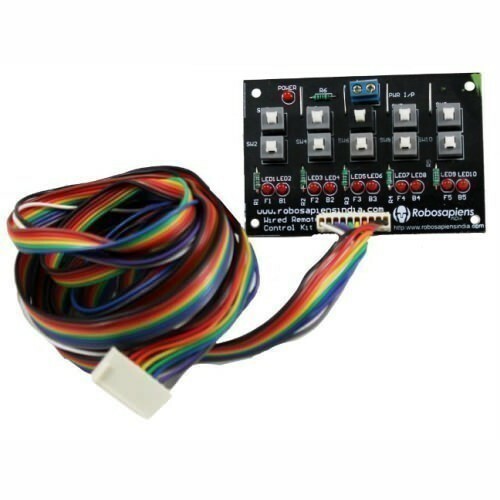 We just need to power the keypad and then the 10 Channel push button board is connected with the Motor driver board using a 10 wire female to female relimate connector wire. Very small and easy to carry. 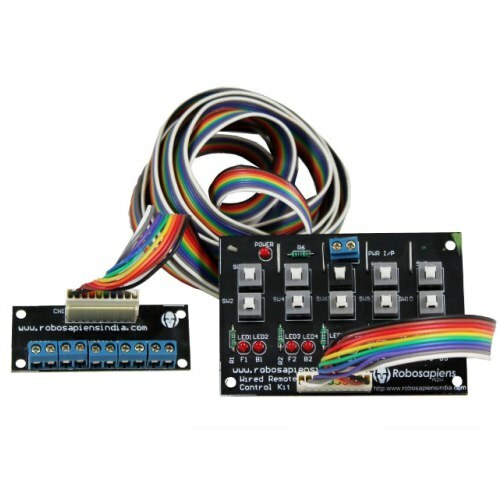 10 Push Buttons connected to the relimate male headers. 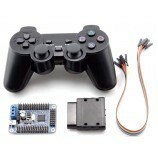 Can generate up to 210 inputs to the processor. 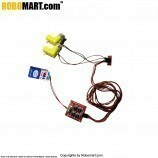 Board can be connected to the motors directly. 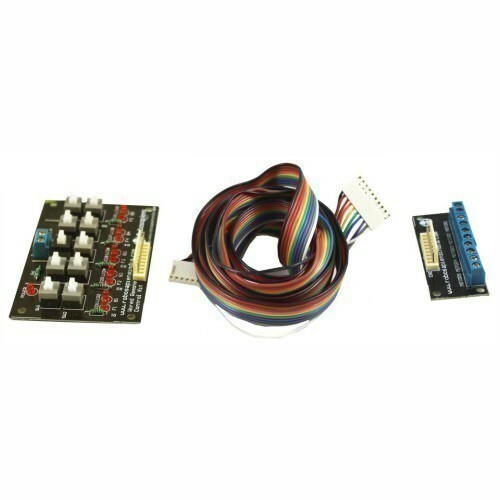 Board can be connected to the processor for other logic application. 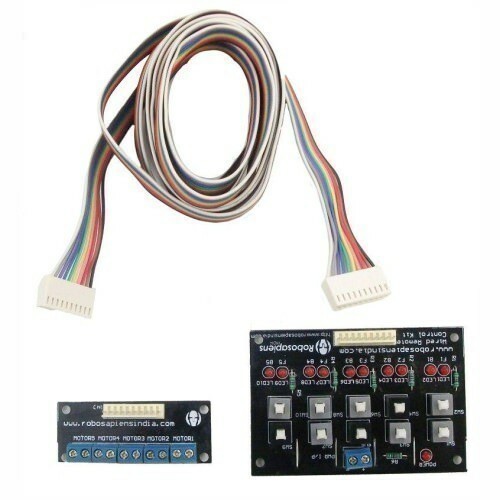 Wireless encoder can be used for wireless based controlling. 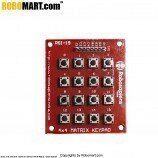 The Board comes with 10 LEDs for showing the Digital output of the switch buttons.